Well, not to be surprised much, the medical and health care system is India is one of the poorest and as per WHO ratings, India ranks 112th out of 190 countries all across the world. If one sees from outside, one can see the medical development that the state-of-the-art hospitals have achieved in terms of technological excellence – but they are way too expensive for more than 70% of India’s population, who still depends on regular facilities that are available at the mediocre healthcare centers. 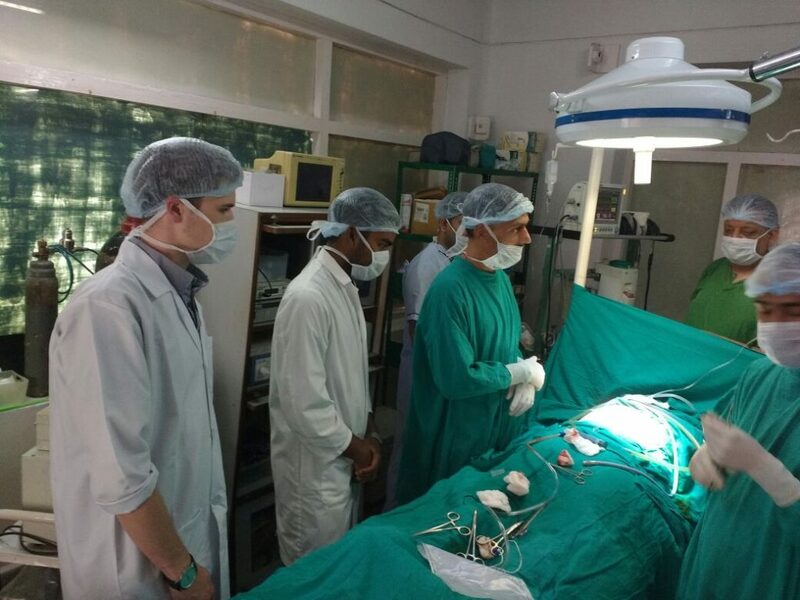 For pre-med, medical and nursing students who are studying in different colleges across the world – medical internship project in India will help in getting a whole new perspective. Volunteering India connects the interns with hospitals in New Delhi and Palampur. In New Delhi, which is the capital city of India, interns will get to work under the supervision of doctors and nurses at a hospital in South Delhi area. 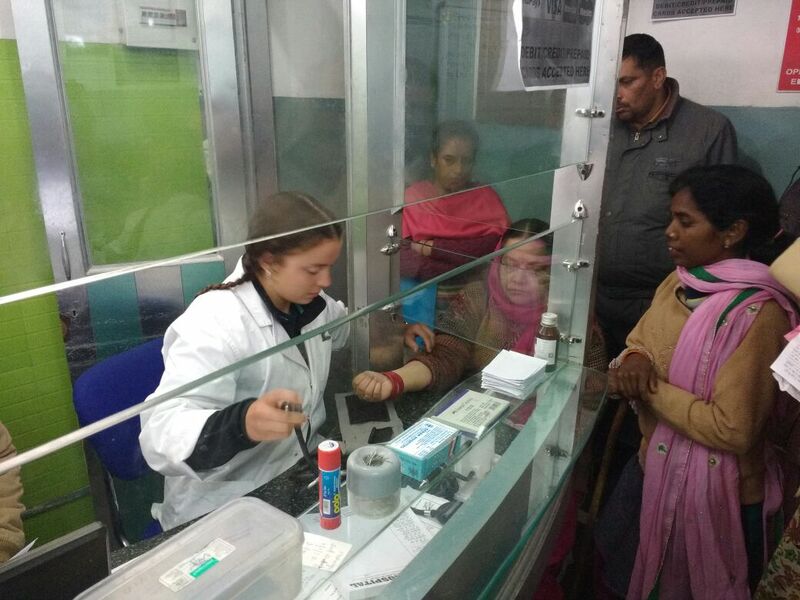 Interns opting for Palampur will get to see a completely different scenario of semi-urban healthcare centers in Himachal Pradesh, where they’ll shadow the professionals and get an opportunity to learn about a lot of new things. Interns joining this project will be paired with the professionals whom they’ll be shadowing. Each intern needs to choose at least 3 to 4 departments from the given list – Emergency, IPD Wards, Laboratory, Blood Bank, Pharmacy, Radiology/Imaging, OT, Dialysis Unit, Critical Care, General Wards, Orthopaedic, Nursing, Obstetrics, and Gynaecology, Physiotherapy. Pre-med students, 1st, and 2nd-year students will only get to observe the doctors and shadow them, while 3rd and final year students will get tasks. The tasks that’ll be assigned to the interns will purely depend on their experience and efficiency. Work would usually involve routine check-up of patients, giving vaccinations, dressing wounds, measuring blood pressure etc. Interns will have to maintain a regular file depending on the tasks assigned to them. Interns will have to arrive at the Indira Gandhi International Airport from where our coordinator will receive them and take them to the volunteers’ house, which is at a safe residential location in Delhi. The accommodation is clean and provided on same gender sharing basis. Interns will be provided food on the weekdays, as mentioned in the program brochure, and on weekends, they can explore the amazing delicacies that are available at local food joints. Our coordinator will take the interns to their placement site on the first day of work, after orientation. From the next day, interns will commute on their own. This will give them an opportunity to explore the city in a much better manner. During the weekends, interns can choose either to explore the nooks and corners of Delhi and visit the monuments from the medieval era or they can take a short trip to Agra, or Jaipur. Our travel expert will be more than happy to assist in planning the weekend trips. Palampur is a quaint town nestled in the lap of the Himalayas in Himachal Pradesh. Unlike Delhi, the facilities available here are much lesser. Interns are placed in hospitals and clinics where they work alongside the professionals. The hospitals have different departments like general medicine, surgery, gynecology, pediatrics as well as in Ayurveda and Naturopathy. Interns will also get a chance to visit local clinics and schools, where mostly the rural folks come for treatment. This will be an amazing opportunity to know the natives and also get an idea about the health issues that they face in general. If the interns come in a group, then they can organize health care camps which will be immensely beneficial as a learning journey. Students pursuing dental studies will get to intern with professional dentists at the clinics. The program will be aptly suitable for those who are looking forward to gaining some valuable work experience in the field of dentistry. Students who are eager to work in a rural setup with ample challenges will absolutely enjoy this internship. Interns usually arrive at Indira Gandhi International Airport from where they travel overnight in a Volvo bus to Palampur. Our coordinator will be there to assist whenever needed. Interns will stay at the volunteers’ house which is just in the Himalayan foothills. Rooms will be provided on the same gender sharing basis and the location is extremely safe. Food will be provided to the interns on weekdays, as mentioned on the program schedule. Most of the hospitals and clinics are located in the vicinity, hence commuting time would be less. Our coordinator will guide you in details during the orientation session. There are a lot of traveling options for those who choose to work in Palampur. Himachal Pradesh has various hill stations like Mcleodganj and Manali that are nearby Palampur. Those who are interested in Paragliding can head towards Bir, while trekkers can explore the Himalayan forests in Triund and go for a trek. Many interns also travel to Amritsar to visit the famous Golden Temple and the Wagah Border – India-Pakistan border. We shall be extremely happy to assist you and host you in India.